https://amorfatiproductions.bandcamp.com/album/von-glut-und-wirbelrauch 1-sided MLP with etching on side B. Limited to 500 copies! 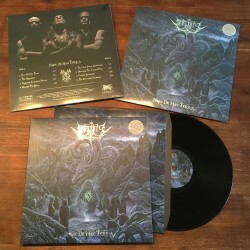 https://amorfatiproductions.bandcamp.com/album/h-xenzijrkell-des-lasters-der-zauberey The vinyl version of Häxenzijrkell's "Des Lasters der Zauberey". Comes as a 1-sided MLP with etching on side B. Also includes a booklet. Limited to 500 copies. 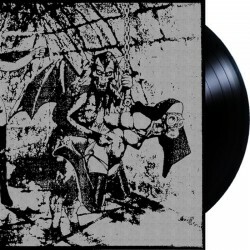 https://hellvetron.bandcamp.com/album/death-scroll-of-seven-hells-and-its-infernal-majesties Traditional black vinyl only. 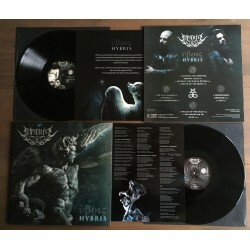 Comes with a 2-sided 11"x17" poster and printed inner sleeve. - gatefold jacket - heavy, full colored innersleeves - 12" sized and 24 pages thick booklet with marvellous illustrations and design - 2 sides printed din A2 poster Limited to 200 copies! https://holocaustoemchamas.bandcamp.com/album/- White on black splatter record housed on a 350 g regular, printed on the reverse side with 3 mm spine + A4 insert, limited to 200 pieces. 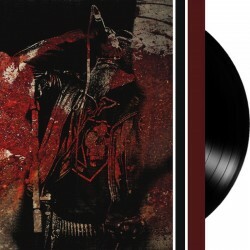 https://strangematerial.bandcamp.com/album/the-noose-hangs-from-heaven US-import from Fallen Empire. Limited to 350 copies. Finnish Morbid Black MetalRecorded inside The Satanic Metal Temple by Werwolf, Vritrahn and Infernal Black. Polish CULT demo from 1993 pressed on vinyl. Gatefold cover. Recommended release.Limited to 250 copies on black vinyl. https://soundcloud.com/hrvstfdth/infernus-por-blasfemia-eterna-sample Harvest of Death - Limited to 200. Severe and scathing Berserkergrind Noisecore by Antichrist Kramer. Limited to 300 copies on 180 gram white vinyl. High price due to high-quality limited edition, expensive shipping and fucked up import-tax! "Extermination Campaign" documents the two most important shows from the 2015 world wide campaign of hatred, intolerance and WAR from the most extreme band in the world, INTOLITARIAN. 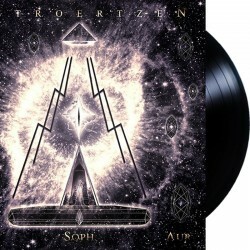 300 copies on black vinyl only. Comes with poster & inlay! US-import thus import-tax and postage explains price.